The province of Fryslân, of which ‘het Bildt’ is one of the counties, is the hard-land of the Dutch seed-potato production. The potatoes are exported to very many countries all over the world, feeding many people with a high nutritional value using only a small amount of fresh water. 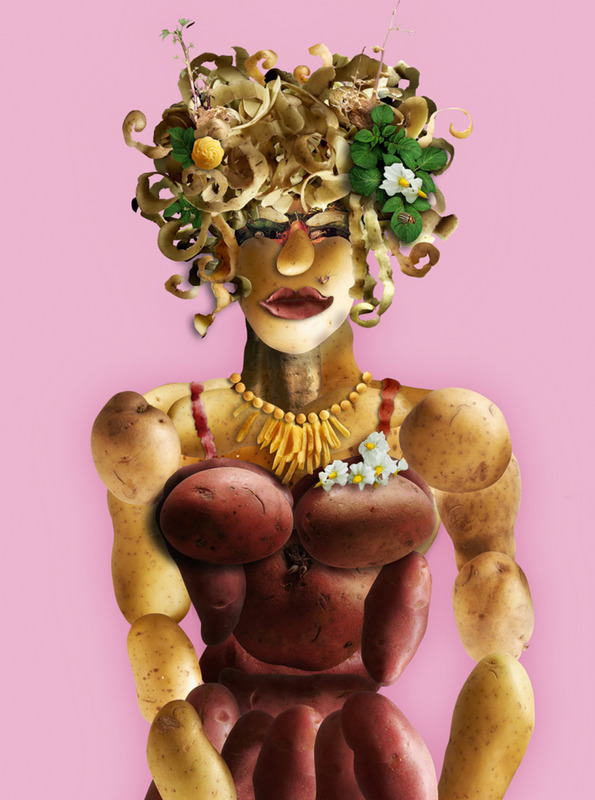 On ‘het Bildt’ de Year of the Potato has been celebrated with a lot of activities in the period. The close cooperation between farmer´s en artists to develop and execute all ideas grew out into a successful project. Goal was to inform the consumer about where his food is coming from, but also colleagues and businesses about how the modern agricultural farms are run. With a presentation of different aspects of farming in combination with art, the consumers learned to know the farming-world. 1 historical view of the road of the potato from Peru to the modern potato-seed farms and the export from there all over the world. Symposium around the theme “The importance of the potato to worldwide food and economy”. Meet and greet with farmers: consumers visiting producers and lunching together. Performance of music, poetry, songs and a ballet with 30 farm-equipment and harvesting machines on a field of 5 hectares between two dikes explaining the spectators about the potato as a basic for life in the struggle between the elements of soil, water and fire. Film-festival with films related to the theme.